State Rep. Keith Sommer at a McLean County Chamber of Commerce legislative update event earlier this year. Voters are accustomed to politicians who love to self-promote—the ones who call press conferences to brag about all the bills they’ve introduced, who give impassioned floor speeches ahead of a controversial vote, who blitz the media with press releases about their positions. Stat Rep. Keith Sommer isn’t like that. The Morton Republican is one of the state’s quietest lawmakers, according to his Springfield colleagues and elected officials back home. He’s introduced far fewer bills than other local lawmakers. He serves on only four committees—among the lowest for any House Republican, especially one who’s been there since 1999. He hasn’t updated his Facebook page in over 600 days. He’s posted one press release to his website this year—about a bill he got passed requiring state education officials to post a handbook online to help kids with dyslexia. Sommer’s quiet presence is now an issue in his race against Democratic challenger Jill Blair of Bloomington. It’s his first general election opponent since 2008. Blair, a first-time candidate who’s trying to ride a blue wave to victory in a red district, said she’s been knocking on a lot of doors in Bloomington, and many voters don’t even know Sommer is their state representative. 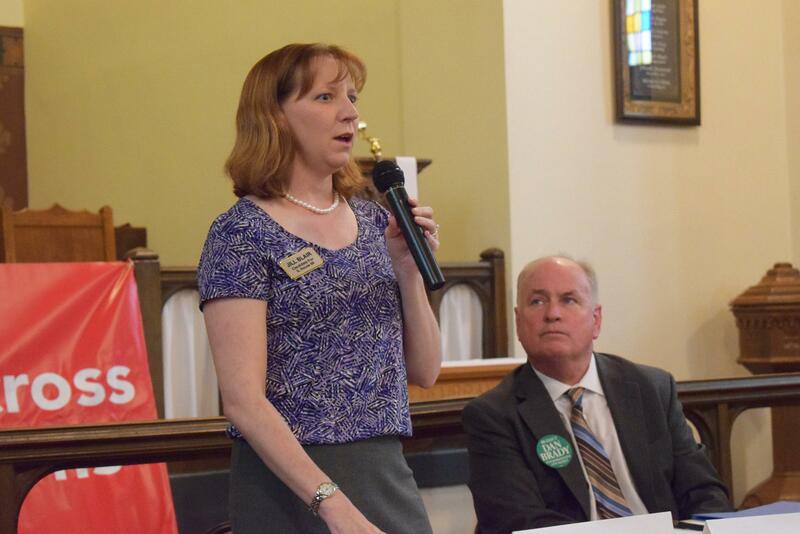 Democratic challenger Jill Blair at a candidate forum earlier this year. Sommer did not respond to requests for an interview for this story. He also did not return a GLT-League of Women Voters of McLean County candidate questionnaire. Sommer’s 88th House District includes much of Bloomington, stretching west to include Morton and Washington. The bulk of Sommer’s support in past elections has come from the Tazewell County side of the district where he’s from. Earlier in his career Sommer, now 72, served on the Morton Village Board, then became Tazewell County’s recorder of deeds, then joined the Tazewell County Board. Sommer is a good fit for the district, said Dave Zimmerman, the Republican chair of the Tazewell County Board. 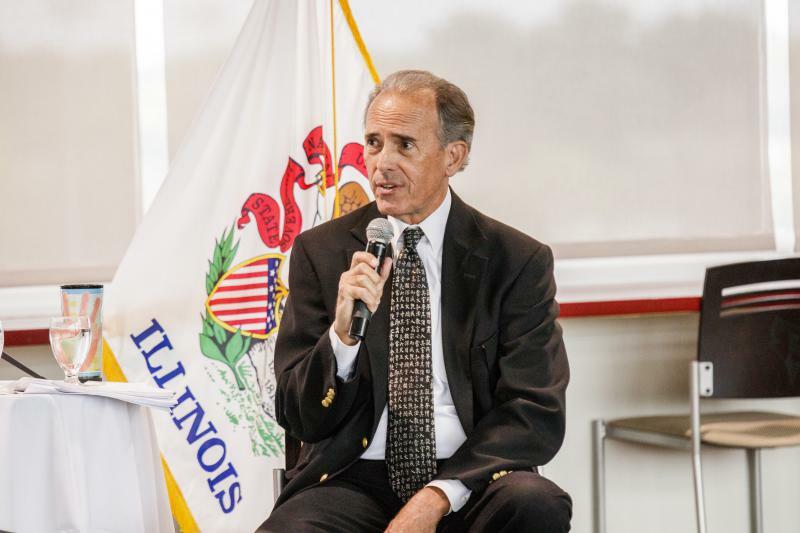 The county has the second-lowest tax rate in Illinois, Zimmerman said, and constituents there don’t want to see government spending money for anything but the basics. Elected officials in his district say Sommer delivers when they need it. Washington Mayor Gary Manier said Sommer was instrumental years ago in getting the Illinois Department of Transportation’s attention and signoff for a major expansion of Route 8, as well as $250,000 in IDOT funding for an engineering study of a dangerous intersection of Nofsinger Road and U.S. 24. Manier said they’ve occasionally disagreed but got past it. The Washington City Council raised the minimum age to buy tobacco in the city to 21. Sommer voted against a similar bill in the House in May. “When he talks, you better listen, because he doesn’t talk a lot,” Manier said. Sommer also doesn’t pass a lot of bills. He’s sponsored just 54 bills that have become law since 2009. Of those, he was a chief sponsor on just 18. One of those was Sommer’s 2015 bill to make pumpkin pie the official state pie of Illinois; Morton is one of the top pumpkin-producing areas of the country. By contrast, state Rep. Dan Brady, R-Bloomington, sponsored 186 bills that became law during that time, and he was a chief sponsor on 71 of them. Brady is part of the House Republican leadership—unlike Sommer—though he’s been in the House for two fewer years than Sommer. State Rep. Mike Unes, an East Peoria Republican, joined the House in 2011. Since then he’s sponsored 165 bills that have become law, including 55 as a chief sponsor. During that same time period, Sommer sponsored 45 bills that become law, including 14 as chief sponsor. Morton Mayor Jeff Kaufman said he sees that low productivity as a good thing, not a bad thing. Voters there don’t want a representative who goes to Springfield to pass more laws, he said. "When he talks, you better listen, because he doesn't talk a lot." There’s at least one legislative area where Sommer has been active: adoption. Sommer and his wife adopted two children from China. He introduced a bill in 2015, later signed by the governor, aimed at streamlining the international adoption process for Illinois families. “He’s the type that you don’t hear from a lot, so when he does say something (like about adoption), you’re like, ‘Hey, what’s Keith Sommer talking about?’” Thapedi said. Thapedi said Sommer is “reasonable” but “definitely a party guy.” He said Sommer, a real estate agent, was helpful in the committee’s work on a bill to create the Illinois Trade Policy Task Force. “You can have a conversation with him. He won’t blow you off. But he’s a party guy,” Thapedi said. Sommer is the top Republican on the International Trade and Commerce committee, and that’s a good fit for his trade-reliant district that includes a lot of farmland and Caterpillar, said John Walsh, manager of government and public affairs for the McLean County Chamber of Commerce. Sommer was one of 33 House recipients of the Illinois Chamber of Commerce’s Champions of Free Enterprise award in 2017-2018, for his business-friendly voting record. That record includes opposition to a proposed increase of the minimum wage (to $15), and his vote (along with many Republicans) against overriding Gov. 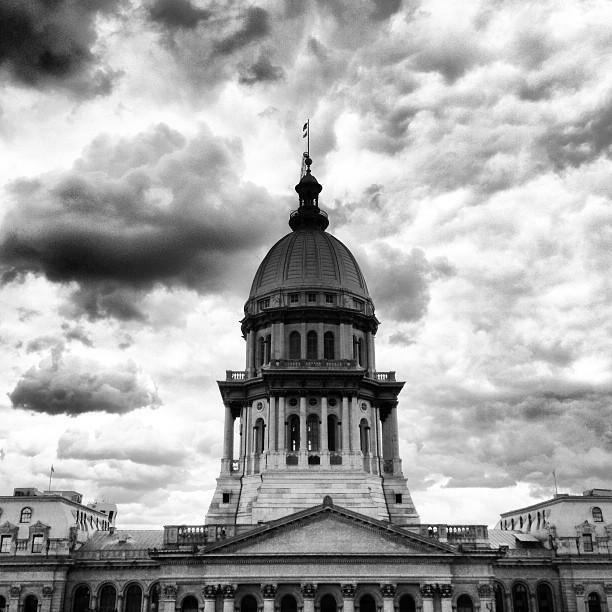 Bruce Rauner’s budget and tax-increase vetoes, both in 2017. “He’s not necessarily at every single function, but you know that he’s working for the district,” Walsh said. Given their adjacent districts—both include Bloomington-Normal—it’s hard not to compare Sommer’s tenure with Brady’s. While Sommer has stayed under the radar, the ever-present Brady has emerged as an influential member of the House Republican caucus. He’s the top Republican on the Appropriations-Higher Education committee, and he’s one of the leading GOP voices on higher ed. Their voting records are similar but not identical. For example, they both voted against HB 40, which removed prohibitions against using public funds to pay for abortions and certain other provisions concerning abortion restrictions. But Brady broke with Republicans to support the Equal Rights Amendment when it passed the House in May. Sommer voted against it. 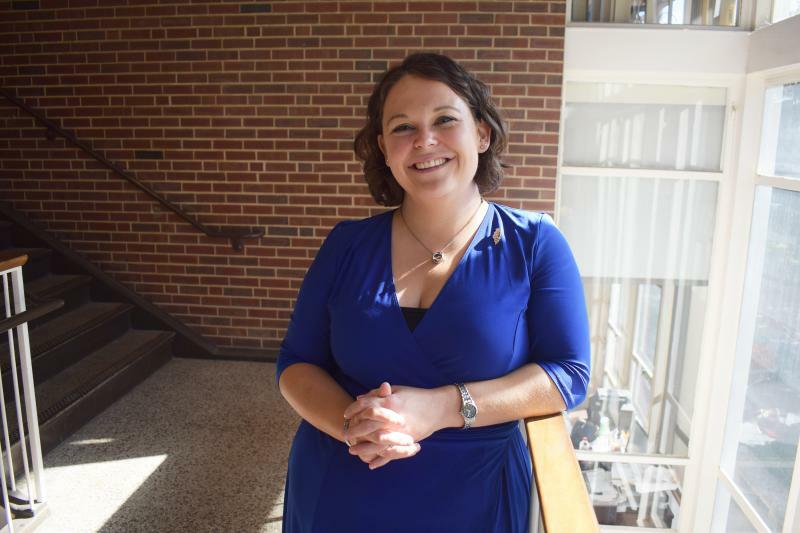 Blair, a former Heartland Community College administrator who also worked at Country Financial, faces an uphill battle as she hopes to knock off the 10-term incumbent. She drew 6,735 Democratic primary voters in March; Sommer drew 10,331 Republican primary voters. Sommer’s slower fundraising pace might help keep Blair competitive. As of June 30, Sommer had $31,330 in his campaign fund. Brady had $137,166, and Unes had $772,624. They also move money to other House Republicans more frequently. Since 1999, Sommer’s campaign fund has contributed $56,797 to other political organizations, including the House Republican Organization, McLean County Republicans, and others. During that same stretch, Brady’s campaign contributed more than $405,779 to other political organizations, state records show. Blair has received $16,500 since Sept. 1 from several union political action committees (PACs), according to state filings. She outraised him in the second quarter of 2018, though Sommer still had double the campaign war chest—common for an incumbent. Third-quarter fundraising reports are due Oct. 15. The last time Sommer faced a Democratic general election opponent was Tom Shrier in 2008. It was a slightly different district (because of redistricting), but Sommer won 70 percent of the vote. Shrier, who lives in East Peoria and is still involved with the Tazewell County Democrats, said central Illinoisans seem to him more inclined than ever to just vote party line, again and again. “As far as fixing the state or helping with any problems, it seems like he doesn’t do much,” Shrier said. Editor's note: This story has been corrected to reflect that Jill Blair no longer works at Country Financial. Blair said she left her job at the end of June to campaign full-time. A new statewide poll shows Republican President Donald Trump may weigh down Illinois’ GOP candidates in the midterm election. Southern Illinois University’s Simon Institute surveyed more than 700 Illinois voters. 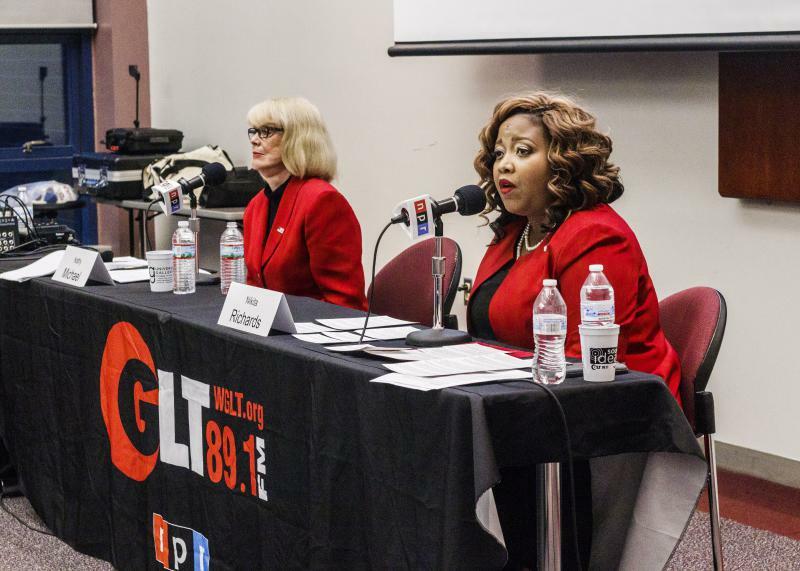 They were asked whether President Trump’s record in office would make them more or less likely to vote for Illinois Republicans in state and Congressional races.